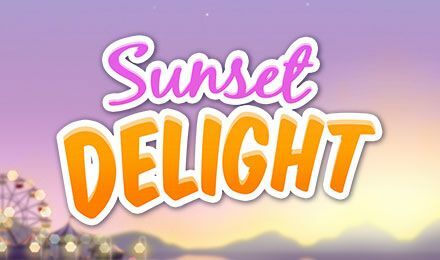 Get your ice cream on Sunset Delight Slot! Huge prizes are waiting for you on its marvellous Free Spins Feature. Get extra prizes of up to 100x your stake value! Join in for a refreshing treat on the amazing Sunset Delight Slots by Thunderkick. This classic online slot machine comes with 3 reels and 5 paylines. You won’t find the regular reels on this game, instead ice-cream cones make up the reels. Ice Cream scoops of different flavours are the symbols that land on the cones to form winning combos. This is the ideal summer game with a 96.30% RTP and exciting features such the Free Spins Bonus that is triggered with 3 or more overlay waffles. Multipliers of up to 100x can be won during this feature!